SuperStream – How Ready Are You? How ready is your business for SuperStream? 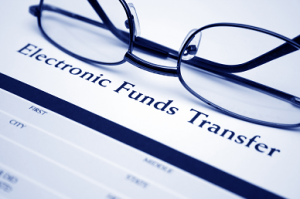 Is your SMSF bank account able to receive electronic contribution payments? To reduce the amount of time, effort and cost of the Superannuation system, the Government established SuperStream, a new system that allows employers to make electronic superannuation contributions for their employees. Employers that have 19 or fewer employees will begin making contributions starting 1 July, 2015 and are given 12 months to make the change. Click here to read more about Superstream. For all employers making super contributions, APRA-regulated funds, and SMSFs receiving contributions, SuperStream is required. The SBSCH is under the administration of the Australian Taxation Office and is a service that allows employers to make their contributions as a single electronic payment to the clearing house, which then distributes the payment to employees’ funds. What additional information does an employer need to gather to make contributions using SuperStream? What if an employer hasn’t got all the SMSF details they need? If an employer does not receive the SMSF’s details by the date required, they will not be able to send contributions to the employee’s SMSF fund. They may ask the employee to complete a standard choice form and return this form to them within 28 days. Since payments are processed electronically, an electronic service address is needed by the employer to ensure that electronic contributions messages are received. This can be obtained from an SMSF messaging provider. A list of SMSF messaging providers can be found on ATO website. Please click this link. Do you need to register with an SMSF messaging provider? Yes, if your SMSF does not have access to an electronic service address through an existing service provider. contact details of SMSF trustee. send the employer contributions messages to you. Once you have the alias, you will need to give this information to your employer. Your employer will then include this information in their payroll file to identify where they will send your contribution messages. The accountants at our Epping office can provide you with personalised advice to help you get ready for SuperStream.